Jason is still smiling after 50 miles! 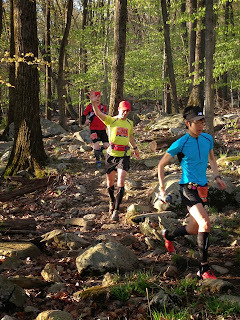 I started writing this post several months ago after supporting my fiancé, Jason, through his first ultramarathon – the Bear Mountain 50 mile Ultramarathon. My own running of the New York City Marathon on November 3 was motivation to return to, and finish, this piece. An aside – if you get a chance to run the NYC Marathon, I highly recommend it! Millions of people participate as runners and spectators. The energy is palpable. Running the race injured, there is no way I would have made it through without the crowd’s motivation – truly unforgettable. Before Jason’s ultra, I had dabbled in sports nutrition and created a solid nutrition plan for my own marathons, but I had never planned crew and nutrition support for an ultramarathon. Luckily, the plan was successful – phew! However, I learned that training and nutritional support for an ultramarathon of 50 miles and longer is MUCH different than what is required for a marathon. Below is my interview with Jason about his training, crew and nutritional support during the race. First, let’s take a step back to make sure we’re all on the same page. Some know what this is. Many have heard the word, but don’t know exactly what it means. Others are thinking, “what”? An ultramarathon (aka. an “ultra”) is generally thought of as a running race that is longer in length than a traditional marathon, which is 26.2 miles or 42.2 kilometers. In reality, both running and walking are often involved. Some ultramarathons are a specified distance and while others are run over a specified period of time in which the winner runs the longest distance in the allotted time frame. Some common distances covered are 50 kilometers, 50 miles, 100 kilometers and 100 miles. A common time-based ultramarathon is 24 hours in duration. That said, races can be many days or thousands of miles long. They can take place on streets, mountain trails or tracks. Some take place under extreme conditions. - Shi Chimony, according to their website, is the world’s longest certified footrace at 3,100 miles that must be completed in under 52 days – an average of nearly 60 miles per day. In my opinion, the most difficult part of this race, aside from the mileage, is that it is run around a single block in Queens, New York. - The Badwater Ultramarathon describes itself as “the most demanding and extreme running race offered anywhere on the planet.” It covers 135 miles (217km) from Death Valley to the trailhead of Mt. 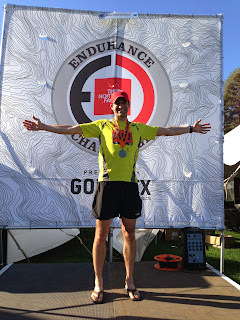 Whitney, California and has 13,000 feet of elevation gain, finishing at an elevation of 8,360 feet. The race takes place in July when Death Valley temperatures can reach over 120 degrees F/48.8C. - The Arrowhead 135 Ultramarathon runs 135 miles through the coldest part of Northern Minnesota with runners regularly experiencing temperatures of -40 degrees F/C. OK – now we all know what an ultramarathon is. Just reading these descriptions evokes a range of feelings. For most ultramarathons (the exception being Shi Chimony which sounds like the most boring, monotonous, grueling thing imaginable – though I suppose that’s the point), I fall into the camp of, “wow, that’s amazing!” I think people that are able to run them are really inspiring. However, my body has made it pretty clear that it has no interest in running ultras. I am happy to resign myself to helping others and thinking that maybe someday I’ll make the leap from marathon to 50K. 1. How did you train? I used The Lore of Running by Timothy Noakes, MD to craft a training plan. (This is just an image, but if you want to download the interactive version, go to Dropbox). The race was scheduled for May 4. I started training October 15 with 22-mile weeks. This was up from a baseline of 15 miles per week that I’d been stuck at due to recurrent injuries. - I never ran more than 7.4 miles on a weekday. - Some shorter runs ranged from 3 to 7.4 miles. - My longest training run was 30 miles (50K). mentioned above. I aimed for 37 miles but the timing never worked out. breathe at the same time. Some people were attempting beef jerky. That’s crazy! things that dissolved in my mouth, like broth and potato chips. - Jason: I think you should explain this part. It is essential to have a thorough nutrition and hydration plan that accounts for miles, time, calories burned, fluid and electrolyte balance as well as how much can be carried over the distance from one aid station to the next. 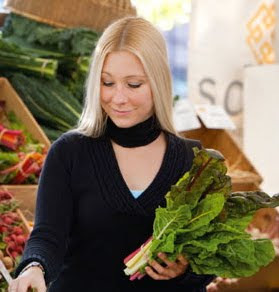 It is important to keep a relatively even calorie and fluid balance during the run. This requires a lot of planning. For example, Jason consumed 5,830 calories on the run (and burned 6,015 calories). He drank 12 quarts (3 gallons) of liquid – six quarts each of water and electrolyte solution. Obviously, this is far too much liquid and far too many calories to consume over a short period of time. If you get behind, it’s very difficult and sometimes impossible to catch up without distressing your body (think nausea, vomiting, cramps, dizziness) or putting yourself at risk of medical complications. Severe electrolyte disturbances can lead to life-threatening brain swelling, abnormal heart rhythms, muscle breakdown and seizures. Work with whomever will be your crew to create your nutrition and hydration plan. Time for another definition - "crew." In long races, it is helpful (some would argue essential) to have one or more people to help the runner to create a nutrition and hydration plan and decide what equipment to bring along. They also work with the runner to plan which aid stations to meet them at and which food, water, electrolyte solutions, pieces of clothing and medical items they'll want available at each stop. They follow the runner throughout the race, bringing all of the things above, tracking time, helping keep pace, keep up with calorie and hydration needs, provide minor first aid, and most importantly, cheer the runner on. Sometimes, one or more members of your crew will also be a pacer(s). A pacer is defined as a "trail companion." They serve to help the runner combat fatigue by running portions of a race with them - sometimes just a short distance, sometimes many miles. In the Western States 100, pacers can run roughly 40 miles with you! Pacers can give no physical aid to, nor carry food or water for, the runner except for emergencies. This type of aid will disqualify the runner. 1) Draw out a map of the aid stations including the distances between each of them. are particularly challenging and more time-consuming than expected. these times on your map. and during the entire race. Record these numbers on your map. the number of calories in a serving that can reasonably be eaten/drunk while running. race. Record the caloric content of breakfast at the top of your map. station. Use the cumulative intake box to keep a running total of the runner’s calorie intake. one with water, the other with electrolyte solution. See hydration, below. Luckily, this race was under near ideal conditions – not too hot, not too cold, but just right. Because of this and because Jason is not a big sweater nor does he tend to overhydrate, my job was easy. I didn’t have to be as scientific and detail-oriented as might be needed under different conditions or for someone who falls closer to the extremes of hydration and sweating. For this race, I relied on my usual distance running strategy of alternating water and electrolyte solution. Specifically, Jason used a waist belt that held 2-20 ounce bottles. One was kept filled with water and the other with an electrolyte solution. I always had two additional 20 ounce bottles with me that I would have filled and ready to swap out for his empties at each aid station to help get him moving again as soon as possible. I had Jason start with Nuun which are dissolving tablets that can be added to water to produce a lightly flavored, slightly effervescent electrolyte solution. Unfortunately, Nuun tabs don’t come with sugar that is necessary for good hydration (see Gatorade post for details about why electrolytes and sugar are needed for proper hydration and how to make your own hydration drinks). Initially, this wasn’t an issue since he was eating sugary and carbohydrate-rich foods and using gels, which are essentially sugar syrup plus electrolytes, vitamins and sometimes caffeine. Still, I began to second-guess myself and decided to leave nothing to chance. I was determined that Jason’s dream of running an ultra would not be crushed by a poor nutrition or hydration plan. After the first aid station, I had Jason switch over to the Clif Shot drink mix provided, already mixed and ready to go, at each aid station. There’s nothing magical about the Clif brand. Others containing potassium, sodium and sugar work just fine, too. Alternatively, if I’d planned ahead, 1-1/2 tablespoons of sugar could have been added to each bottle of Nuun for the same effect. If you notice that you’re having difficulty maintaining good fluid balance on your long training runs, I suggest that you take a more scientific approach to hydration. This involves calculating your sweat rate and planning to replace your fluid losses at a rate you’re able to absorb them. The alternating of water and electrolyte solution as above should also work for this in most cases. However, hydration in extreme hot weather is beyond the scope of this post. Signs that you’re not hydrating properly are nausea, vomiting, decreasing or absence of urination, dark or tea-colored urine. If you have anything beyond mild nausea, seek medical attention at the aid stations. Most will happily advise you on a recovery strategy or tell you if it is unsafe to continue. Second aid station, Jason's crew is taking in the beautiful scenery. - Garmin (or other GPS enabled) watch. It was helpful to know how far I’d gone and helped me stick to my planned pace. It helped me keep up with timing of hydration and food. There are downsides, though. Plenty of people tripped while looking at their watches on the rocky trails. The battery only lasted 37 miles (about 7-1/2 hours) on my Garmin Forerunner 405, so I had to swap it out for Michelle’s Garmin 210 (which only has about 5 hours of battery life) to finish the race. Most people don’t have 2 Garmin’s at home, but if you can borrow a friend’s for the day, it’ll be helpful. Finally, the GPS tends to run ahead of the distance on every course I’ve ever run, so I’d psych myself up that there was only a mile left to go to an aid station, but really there might be 2 miles. It was still better than not having an estimate. - Music. I brought my iPhone loaded with podcasts and my favorite running songs, but never used it. There were too many nice, interesting people to talk to – which are a much better motivator than music! I just wanted to be in the moment and enjoy nature. Most people do not run ultras with headphones on. Head lamp. The race started in the dark and you were not allowed to start without a head lamp. Due to the time required to run ultramarathons, many have significant portions that are in the dark. - Compression socks. I am amazed how much these help. On training runs, I tried with and without compression socks. They really helped prevent lower leg swelling, soreness, cramping and fatigue. During the race, I could feel my calves cramp up, but the cramps were never disabling. I’m sure it would’ve been MUCH worse without them. - Compression shorts. I didn’t wear them, but should have. I just wore loose North Face running shorts, but feel like wearing the compression shorts underneath or alone might have helped with the quad cramping as well. It was killer! Layers. Even races that are run under near ideal conditions require layers. Starting in the mountains at 5am, there is a lot of milling around in the dark waiting for the beginning of the race. Even at nice times of the year, it can be COLD. Many ultras have a lot of elevation change which means you also need to be prepared to run in both cold and hot weather. Body glide. I put this on almost everything before dressing for the race. I reapplied body glide to my feet after I started to get blisters at mile 22. Put body glide anywhere anything rubs together – like between your arms and chest, between your thighs (if they rub together), anywhere. The chaffing can be horrible otherwise. - Moleskin. I started to get blisters at mile 27, put on moleskin, and the developing blisters never progressed. Unfortunately, I forgot scissors. Thank goodness for a park ranger who carried everything! - ID, cell phone, emergency contact numbers. To be left with crew or in drop bags for pick up at the end of the race. This is just in case something happens to you, you’re lost or you can’t find who you need to meet up with at the end of the race. - Extra sport gels, energy bars and other snacks . Carry extra along with you, stash them with your crew or place them in “drop bags.” Drop bags are bags that race coordinators with take to certain aid stations on the trail. These are useful at aid stations where crew is not allowed or you can have them placed at certain stations if you are running without crew. - Hat. Sunglasses would have been tough on this technical course because it’s difficult to see the contours of the ground on the darker portions of the trail. A hat designed for running keeps both sun and sweat out of your eyes. - Flip flops and clean clothes. You’ll definitely want these at the end of the race. Your feet will ache for a breather after all the pounding on the trail. Barefoot might be fine if you’re used to it, but my feet were too tender. The thought of stepping rocks wasn’t worth it. - Ice and heat packs. The chemical-release ones are nice because you don’t actually need ice or a way to heat anything up. - Anti-inflammatories and analgesic balm. I didn’t end up using any anti-inflammatories, but I consider myself lucky. I can imagine a lot of scenarios where it would be nice to have Aleve or Ibuprofen. I used a lot of IcyHot at the end of the race. - Water bottles or vest. I carried 2-20 ounce bottles (as discussed above) with me at all times. I carried them in a waist belt. I had to keep stopping to readjust the belt because it seemed like my waist kept shrinking during the race. It took a lot of time to stop and do the adjustments. Next time, I might try a water vest since they are adjustable while running. On second thought, I’m not sure how I’d carry both water and electrolyte solution in a vest. Hmm…I’ll have to think more about this. - Extra socks. Forget them. I took them but didn’t need them. Just wear a pair of socks that held up well under your long runs and you should be fine (unless it’s freezing, of course). - Shirt with UV protection and sunscreen. Being outside in the elements for nearly twelve hours, I got a lot of sun. Luckily, I learned on training runs that sunscreen cream is a disaster. Because of sweating, sunscreen has to be reapplied regularly. Mix this with the dirt and grime you accumulate on the run and it’s not pretty. I wore a t-shirt with UV protection and covered exposed skin with sunscreen spray which was much less messy than the cream. - Insect repellent. Unless it’s winter, you’ll need this out on the trails. - Pacer. Pacers are a much-needed mental distraction, especially in the later portions of the race. I had a good buddy run the last 10 miles with me. Pick someone who can run your pace and will push you and make you feel like you can do it! Don't pick someone that will push you to injury, though. 4. What shoes did you wear? La Sportiva Wildcat Trail-Running Shoes worked well for training and didn’t disappoint during the race. Wear trail running shoes! My pacer wore regular running shoes and had a lot of issues with slipping and a couple of minor falls. 5. What would you do differently or what other tips do you have for someone planning their first ultramarathon? I would not plan an ultra during a time when I had to do a lot of traveling for work. My last two months of training really suffered due to international travel to areas where it was not possible to do trail runs. I wasn’t able to do my longest training run – 37.2 miles – due to traveling. 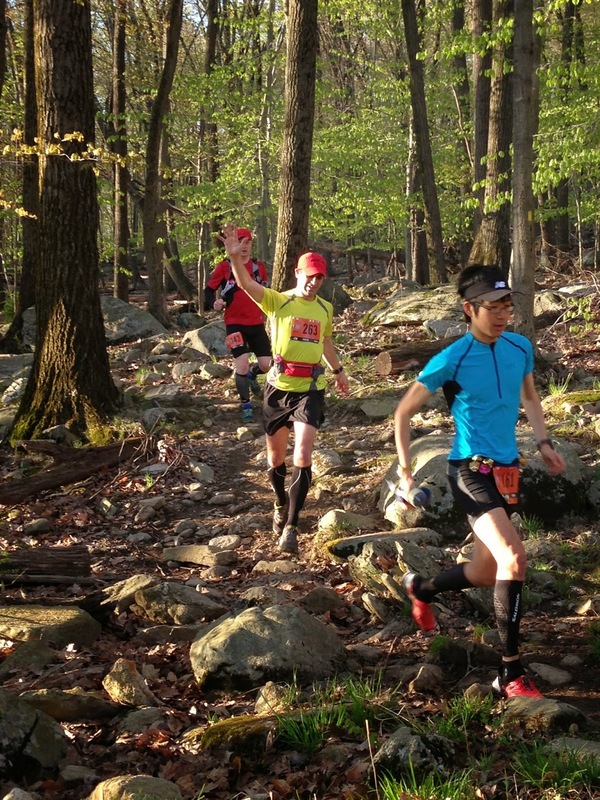 Choose a flatter race for your first ultra. In other words, don’t pick one that has the with high technical and difficulty ratings, with 14,000 feet of elevation change. What was I thinking?!? Practice lots of up and downhills in training. The downhills were quad killers! Try to train based on elevation and course type. For example, if you’re running at a very different elevation than you live/train in, you need to make sure to acclimate and get some training at the course elevation. As for course type, I wish I would’ve gone to the ski slopes near where I live during a non-snowy time of year and run up and down them. If you’re running a very technical (read: rocky) race, you must train to do this or risk rolling your ankles – or worse. Well, you actually risk this no matter what, but proper training lessens the chance. Find a group or partner to train with if possible. It makes the time you spend training more interesting and bearable. I found a running group with several members that had run ultras before. I did trail runs on the weekends with them and learned some of the things I’m sharing here from them. Don’t anticipate running up significant inclines. Practice power hiking. This helped me to both pass people and save crucial calf strength for the end of the race. Most importantly, have a trusted source for the aches, pains, nutrition and hydration info along the way. Improper training and recovery WILL lead to injury and potentially dangerous medical consequences of fluid and electrolyte imbalance. Luckily, I have a chef, doctor, nutritionist at home. Without her nutritional advice, I would have been dehydrated and halfway behind on my caloric needs midway through the race. I credit one big race accomplishment to Michelle – not throwing up!